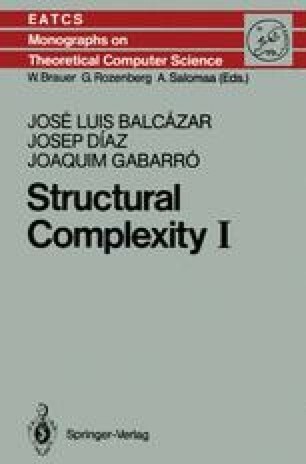 We present here, in a survey style, the basic concepts and theorems about complexity classes. These classes are defined by imposing bounds on the time and the space used by the different models of Turing machines. Remember once more that the aim of this book is the study of structural properties of sets and classes of sets, and that these first two chapters are included for the sake of completeness. Readers interested in pursuing the specific topics treated in these two chapters are referred to the books indicated in the bibliographical remarks.